The territorial government has attended the Association for Mineral Exploration’s annual Roundup conference for years, but one MLA is opting out this year because he says the government is spending too much money on the trip. The N.W.T. government is gearing up to spend more than $236,000 to attend an annual B.C. mining conference later this month. The number of government officials heading to the Association for Mineral Exploration's Roundup this year is unclear, but dozens of people — including several MLAs, all cabinet ministers (except the health minister), Indigenous government representatives and government employees will be going. One MLA says he's opting out, saying the government is spending too much money on too little. While he has never attended the conference, Frame Lake MLA Kevin O'Reilly said "when you have 31 people going, ministers and staff, it seems like a lot of people to basically have people at a booth." The budget for the trip is up from last year, when the territorial government spent more than $193,000 to send all seven cabinet members and 24 officials to the conference. In 2016, that number was $137,000. The biggest cost comes from the Department of Industry, Tourism and Investment; it's spending $96,000 on marketing. This will pay for five staff members to attend the conference, booths, room rentals and three events. While at the conference, the territorial government says officials plan to meet with the NWT & Nunavut Chamber of Mines. Industry,Tourism, and Investment Minister Wally Schumann said it's important for the territorial government to go because "industry needs to know what's available here and what we're doing to promote it." MLAs have questioned why some ministers, unrelated to mining, are attending. ​Last year the health minister attended the conference. 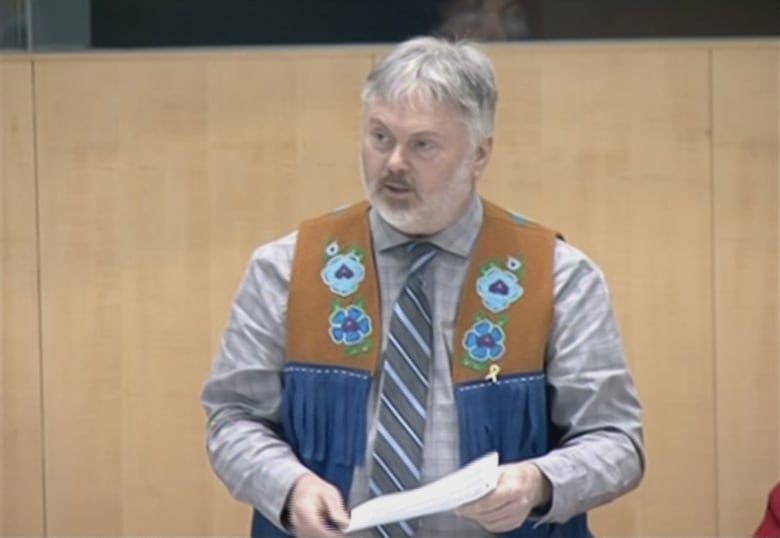 Schumann said this was because money from mining companies is "re-invested back in the Northwest Territories — that allows the health minister to do the number of programs that need to be addressed in our territory." He explained the increase in participation over the last two years comes from the territorial government bringing a number of Indigenous governments to participate in mineral development. O'Reilly said while mining is important to the economy, he would like to see more work done on diversification. He said the territorial government should focus on growing other industries such as tourism, agriculture and fisheries. The NWT Bureau of Statistics did a study on the economic impact of each industry in the territory from 2008. It showed mining and oil and gas extraction have the lowest ratio of jobs per dollar spent. This is according to the most recent multiplier report on the economic impact of N.W.T. industries. Tom Hoefer, the executive director of the NWT & Nunavut Chamber of Mines, said the conference is an important opportunity to attract investors. "We've seen a real downturn in exploration investment since about 2007, and part of the reason for that is access to land." Hoefer said investors are wary of coming to the Northwest Territories because they aren't sure what land they can and cannot explore. "Our job now is to work with government to try and make improvements to the investment climate." The Association for Mineral Exploration Roundup runs from Jan. 22 to 25. An earlier version of this story incorrectly said the Department of Lands did not provide budget information. In fact, it was the Department of Infrastructure.